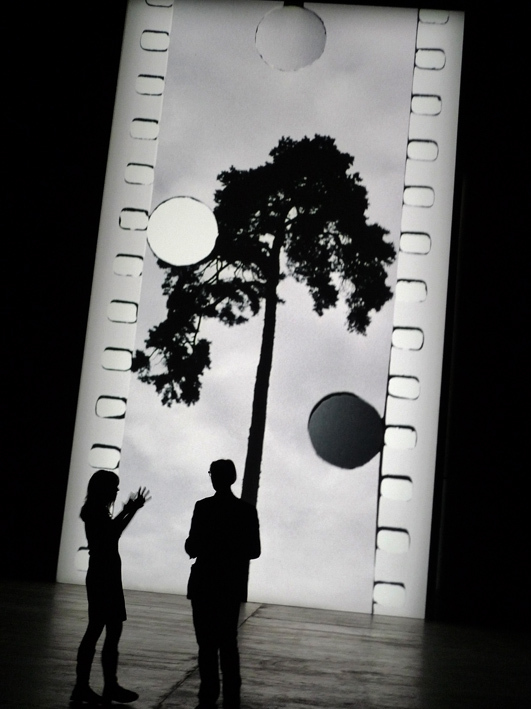 Frieze week is off to a great start with the unveiling of British artist, Tacita Dean’s Turbine Hall commission for Tate Modern. 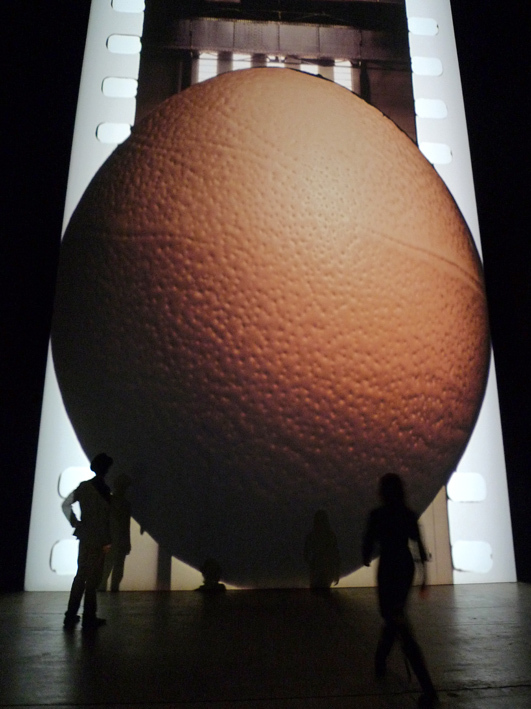 Giant egg from Tacita Dean's 'FILM', Turbine Hall. 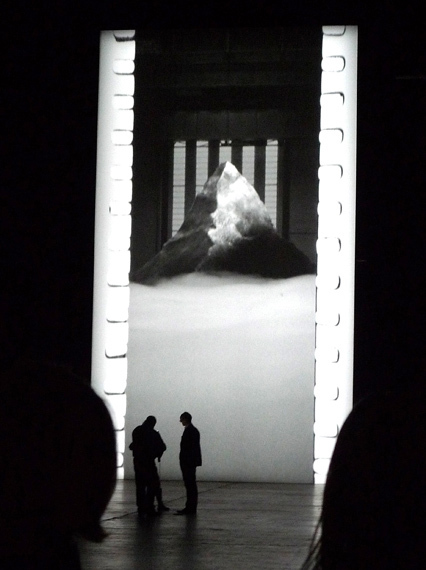 This 11 minute silent film is projected on to an enormous 13 metre vertical screen in a blacked out Turbine Hall. 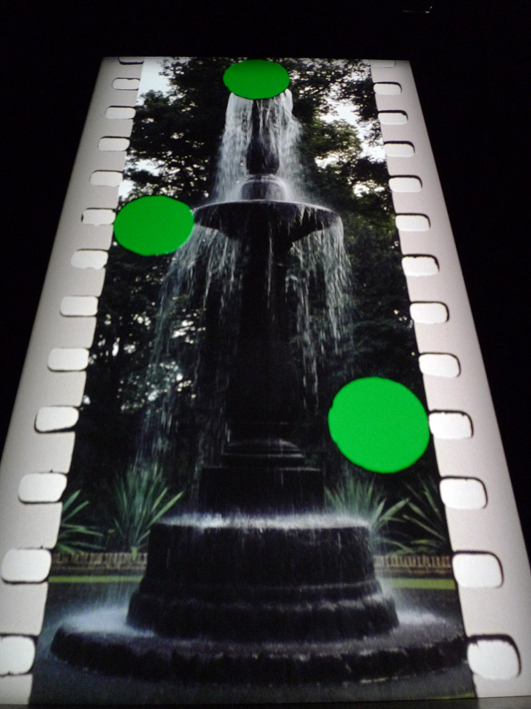 As well as being a fine work of art, meticulously crafted in camera on 35mm film it also pays homage to the dying medium of film (labs are closing at a dramatic rate and following the closure of the Soho Film Lab, Tacita had no choice but to take her production out of the UK). Aside from the artist and her team, credit is due to a chap named Steve Farman who is possibly the last negative cutter in the UK. 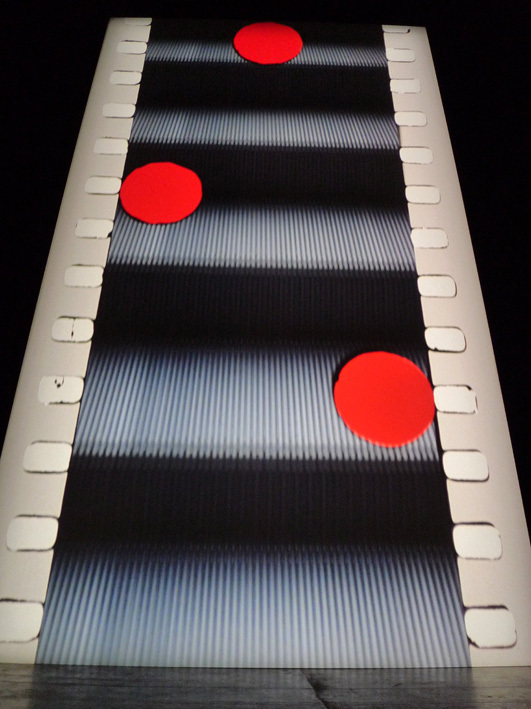 Following a technical accident at the lab in Amsterdam, Steve came to Tacita’s rescue and only last week drove from her home county of Kent to recut the film in Amsterdam, delivering it safely back to the Tate in the early hours of Saturday morning (The Tate were expecting delivery in September of last year). The sprocket holes which frame the moving images such as an escalator, snail, grasshopper, victorian waterfall, giant egg and a stone, are a constant reminder of her chosen medium of which she speaks so passionately about. The book that accompanies the show includes contributions from a wide range of cultural figures such as Steven Spielberg, Martin Scorsese and Neil Young addressing the importance of film and analogue in the digital age. In the press conference Tacita pondered on whether she would return to painting in the absence of film printing facilities but let’s hope the medium lives on and one can choose between analogue, digital or paint. 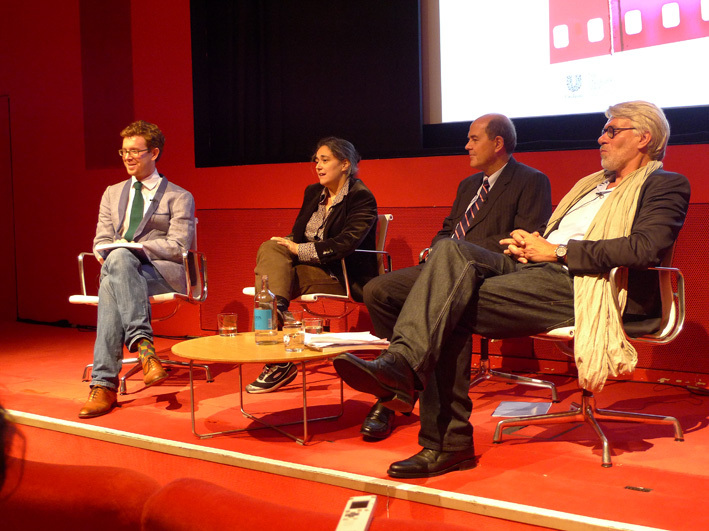 Nicholas Cullinan - curator, Tacita Dean, Gavin Neath - Senior Vice President of Global Communications at Unilever, sponsors of the commission and Chris Dercon - Director, Tate Modern (l-r) at the press conference. Stone from Tacita's private collection representing the Paramount Films logo. The silhouette and finger shadow possibilities are endless. 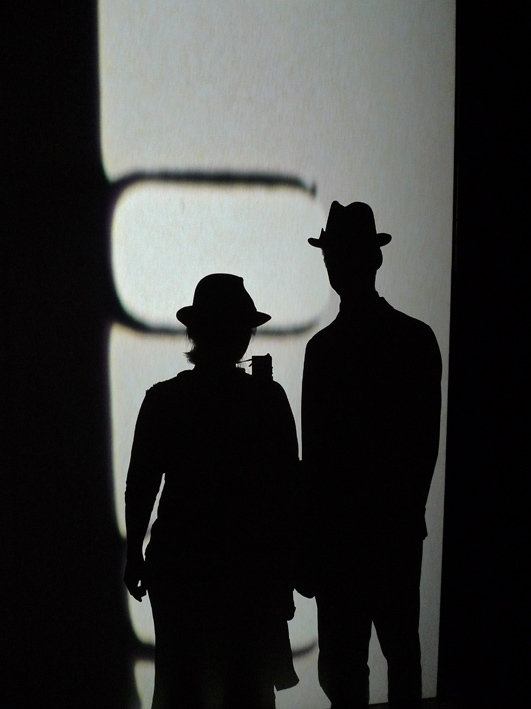 Fiona Campbell and Rodolph de Salis in front of Tacita's sprockets. 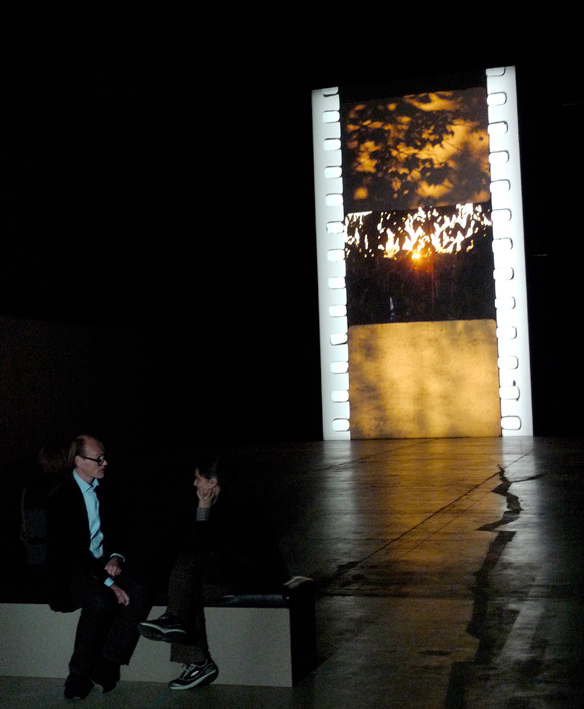 BBC art critic Will Gompertz interviewing Tacita Dean in front of her work 'FILM'. Traces of Doris Salcedo's 'CRACK' still visible (October 2007 Turbine commission). 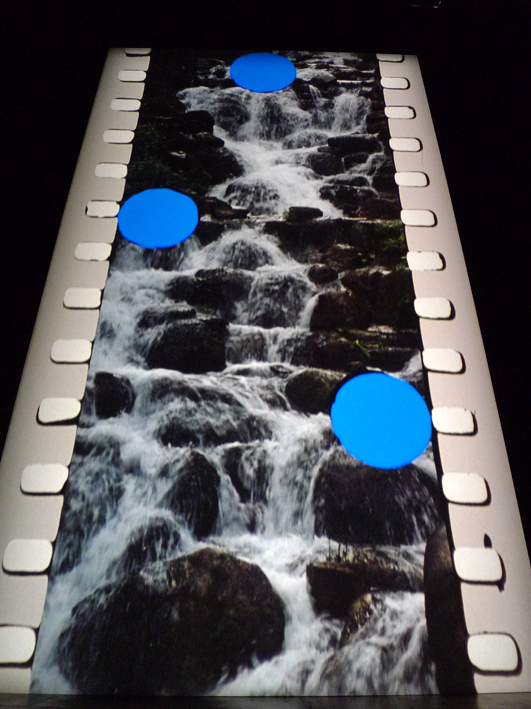 Tacita Dean’s ‘Film’ is at Tate Modern, London SE1, from 11 October until 11 March.